Here's a giveaway where the winner gets to pick from where the gift card comes from. The obvious are Amazon, Walmart, and maybe Target, but you can go for the corner store, too, provided they sell gift cards online. Open worldwide, this ends 3/20. Good luck. Please take a moment to show our sponsor some love. By following us on our social networks we are able to get the best giveaways together on the internet! If you take an entry you must stay following for the entire contest or you will be disqualified. Spring will be here March 20th and to help you welcome the new season; Sweepstakes Fanatics is offering one lucky reader the opportunity to win an eGift Card of their choice! Enter for your chance to win on the widget below! BONUS: Our fabulous sponsor is offering everyone an opportunity to win a second eGift Card! Be sure to enter when you visit Sweepstakes Fanatics on Facebook. This giveaway is open worldwide and is valid where allowed by law. If the winner does not reside in the U.S., prize will be sent via PayPal. No purchase required to enter or win. Odds of winning depend on the total number of eligible entries received. Winning entry will be verified. 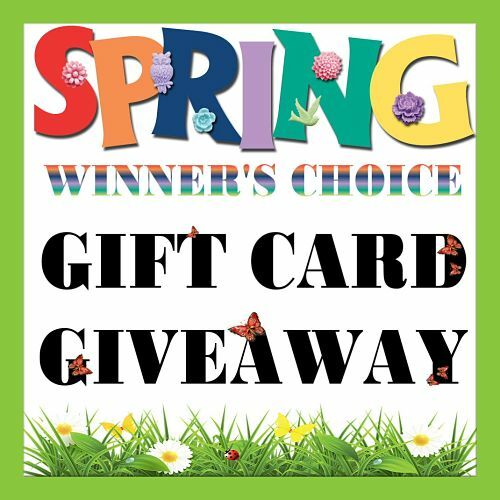 Spring eGift Card Giveaway Disclaimer: PaulaMS' Giveaways, Reviews, and Freebies nor any blog promoting this giveaway, is not responsible for the awarding of the prize. Sponsor is responsible for prize fulfillment. Any Questions about this giveaway? Email Paula At paula_stewart (at) ymail (dot) com. 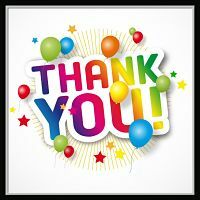 Disclosure of Material Connection: PaulaMS has been compensated for organizing this giveaway. Regardless, she only recommends products or services that she uses personally and believes will add value to readers. I am disclosing this in accordance with the Federal Trade Commission’s 16 CFR, Part 255: Guides Concerning the Use of Endorsements and Testimonials in Advertising. I am looking forward to getting out and planting some beautiful flowers and playing in the yard with my granddaughter this spring! I would love to win an Amazon Gift Card. We are moving to a new house and I need to buy some things for it that is on my Amazon Wish List. I am looking forward to starting marathon training this spring! I love the warmer weather. Warmer weather, being able to open my house for fresh air to come in. The smell of lovely fragrant flowers blooming, more hiking and camping! I am looking forward to visits from grandchildren and colorful flowers. Opening the windows to let fresh air come thru the house and clean out the stale. To go for a walk in the afternoon. I am looking forward to good health and the possibility of a vacation. I'm looking forward to warmer weather and sunshine. I can't wait for Spring to get here. I am so sick of winter! I am looking forward to the warmer weather and seeing my grandchildren. I'm looking forward to my flowers blooming this spring! I love my daffodils that come up in my front yard! I look forward to going on more nature walks with my kids. I am so looking forward to start planting flowers. Here in Maine we don't get to plant until May, blah. My favorite singer is Rod Stewart. I am going to his concert in July. I just can't wait. I WANT THE GREAT WEATHER, BEAUTIFUL PLANTS, AND HEARING THE BIRDS. I*m looking forward to spring and nonicy sidewalks so I can take long walks. I always drop a few pounds during the summer, and I enjoy doing it. Also, gardening. I plan to reboot my whole garden this year. I'm looking forward to warm weather and time with my kids. I recently did a DIY project. I made a yarn wreath for Christmas that ended up being much prettier than I had expected. I am most looking forward to gardening in Spring. I'm looking forward to being able to sit out on my porch more! I'm not much of one for scary rides, but I'm a scary movie addict! Some of my favorites are the older ones--like from the 70s and 80s. I don't believe they make them like they used to! In March, my teen, hubby and I are meeting my two sisters in Memphis for the weekend! I can't wait as I only see my sisters once a year! I would love to win! I am from Canada but you can use an ecard anywhere. I am going on a trip to Nova Scotia to visit my brother! Can't wait. I am looking forward to working in our vegetable garden. I'm looking forward to the nicer weather! Such an exciting giveaway. I am really ready for spring and it would be awesome to start the season with a fancy new gift card. it is very hot and dry theses days. hoping it will rain soon. also hoping to win this giveaway so that i could buy a book. For spring cleaning make a list and don't try to do it all at once. I'm pretty happy because today is my birthday! Yay! My dad got me some pretty succulents as a gift. They are just too charming. We always try to air out the house when the weather gets a bit warmer after the cold and the closed windows of the winter. I'm cleaning out the formal dining room which has been the where-everything-else-goes. It's a slow process but I can start seeing the table! When spring comes around I like to go thru the house and see what is necessary and donate items that are not. As Jo-Ann Brightman I am starting my cleaning by doing the living room first and organizing everything. Really bad wind storm going on. Keeps knocking out the TV and the internet! I am looking forward to be outside and perhaps planting in the warmer weather in a few weeks. I am enjoying the slower pace of the weekend. I will love being able to go for walks after dinner and it still being light outside. I can't wait to read some great books that are coming out soon this spring! I hope the weather will warm up soon so that I can plant. I was sad to see the show Castle go off the air. I am looking forward to going for walks and seeing everything green up and start to bloom. Jo-Ann Brightman I am looking forward to warmer weather so that I can see plants bloomoing and enjoy them. I am so happy to see Once Upon A Time back on the air! When doing spring cleaning tackle one thing at a time. The beauty that is spring with flowers and green grass. When I was younger my family of nine drove cross country for the summer. One of my favorite childhood memories is when we had goats and how fun it was to feed and play with them. We always had a sort of farm life (pastures all around), but the goats were always my favorite. Easter is coming and my family has a lot of birthdays in Spring. Going to Florida as a kid for Spring Break is one of my memories. I wanted to recommend a book I read not too long ago called Behind Closed Doors by BA Paris. Such a good thriller! I've recommended it to so many people and no complaints yet. Being able to eat outdoors and enjoy the beauty. I love bird watching. Bought some bird feed earlier this week and have enjoyed seeing them flutter about over the food! Weird how we are now expecting a snow storm at the end of Winter the beginning of Spring. I am grateful to have each day and Spring brings flowers and green and being outdoors. I got caught on an amusement park ride one time for 45 minutes. It was just as the roller coaster was going to go down. My puppy had so much fun in the snow yesterday! Me, not so much (lol). I am working on knitting a scarf. I volunteer at a program that takes care of elderly folks. I hang out with them, cook for them, play bingo with them, and I knit scarves for their bingo games. Love hanging out with my peeps. Winter came at the end of winter. Oh well I actually like the beauty that is snow. Not a big fan of driving in it but it is beautiful. I'm looking forward to not having to wear layers. Thanks for the chance. I use newspaper to wipe the windows when cleaning them--no streaks. One of my favorite DIY projects was making myself a jewelry holder. I just took cork with pretty fabric over it, framed it, and added pretty pushpins to put my jewelry on. It actually turned out so nice! I am looking forward to the weather warming up hopefully. I hope I've seen the last of the snow when it melts later today. I've been listening to the Talking Heads again recently! I really like music from the 70s and 80s. When my sinks start to smell I feel them with baking soda and then pour vinegar on top of it. so can not stand a messy house so seems like I am always cleaning. I can't wait to have warmer weather so I can get outside and enjoy the spring. We have a number of family birthdays in the Spring. I'm a classic rock fan. Golden age of music, in my opinion. One of my favorite coffee brands is Gevalia. I just had it this morning! I love all the beautiful flowers and the pretty trees blooming. I'm not bug on hot drinks so when I make coffee I make it into iced coffee! I love some iced coffee! One of my favorite movies when I was younger was Mulan. I still love it to this day! The songs in it are so catchy. I am so looking forward to Spring here in MA. With all this cold weather, its really been hard on my muscles. This giveaway is awesome!! and I love that we can pick our own gift card. I am looking forward to no snow! We got more than inches last week within 24 hours! I am looking forward to the wonderful weather. I can't wait to plant some flowers. The trees in Michigan are starting to bud now. the grass is starting to turn green and taking a nature walk is very calming and beautiful. I am looking forward to the warm weather. I'm looking forward to the sunshine and warm weather! BEAUTY AND THE BEAST - "Gaston" Film Clip!! !